It has a knot so you can adjust the size. 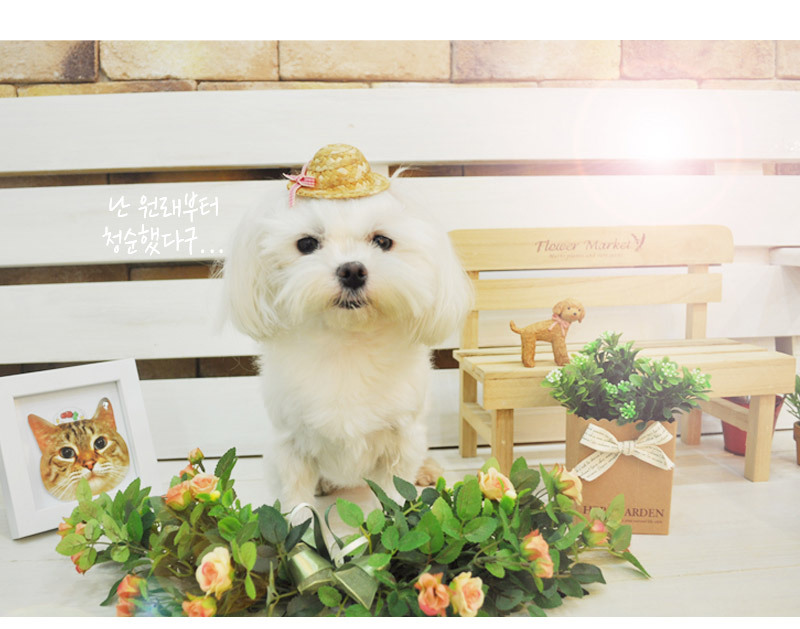 It fits well on small- and large-sized pets. 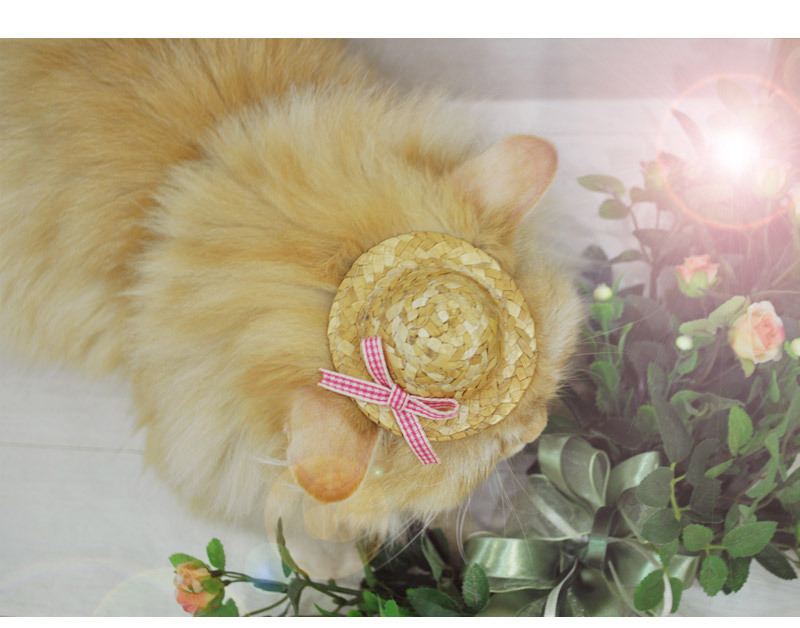 A 2.5-kg abyssinian is wearing the hat in the picture. 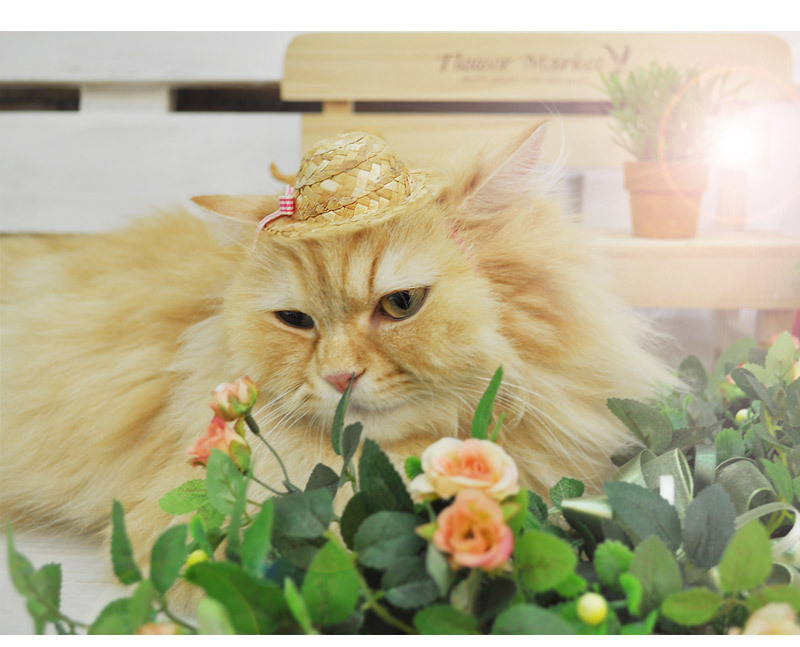 Even naughty cats like her can have a new attitude with this hat. 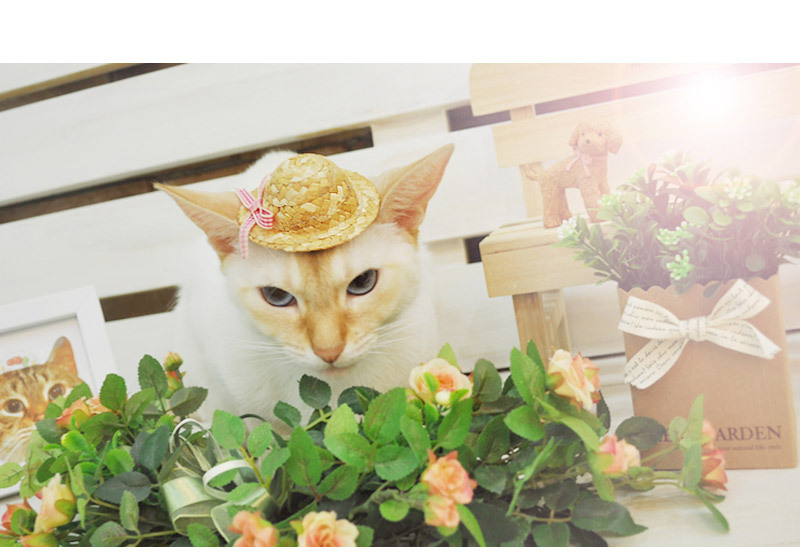 The abyssinian Prin turned into a girly cat from being a naughty cat. The picture was taken from above. 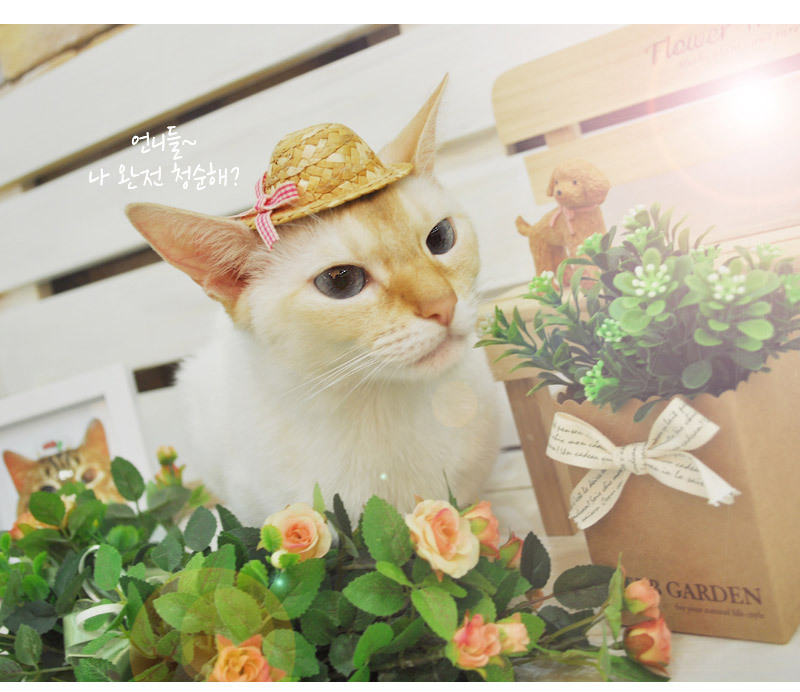 Saetbyeol, a fussy kitty, is wearing the straw hat in the picture. He looks like he is ready for school. 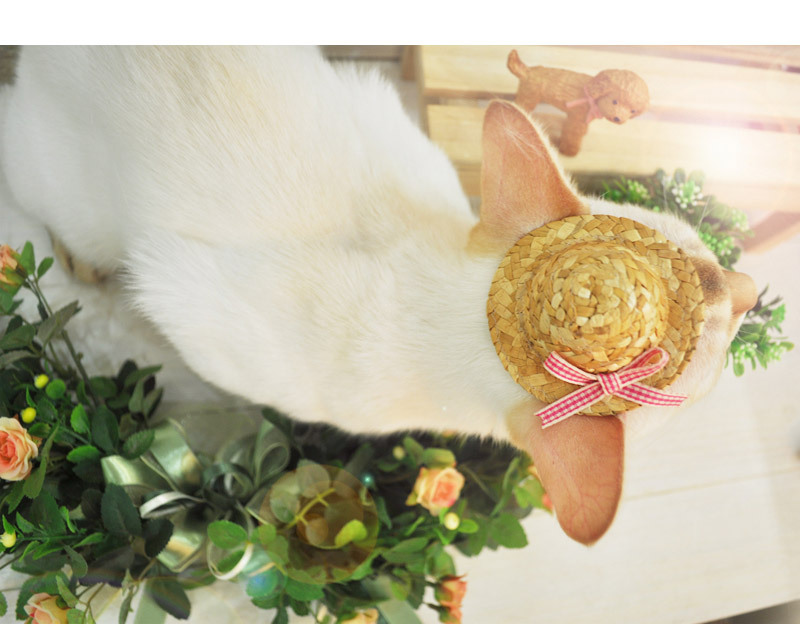 A 3.5-kg chinchilla is wearing the hat in the picture. Oops, but he does not look as chic as we hoped! It’s from the picture above. 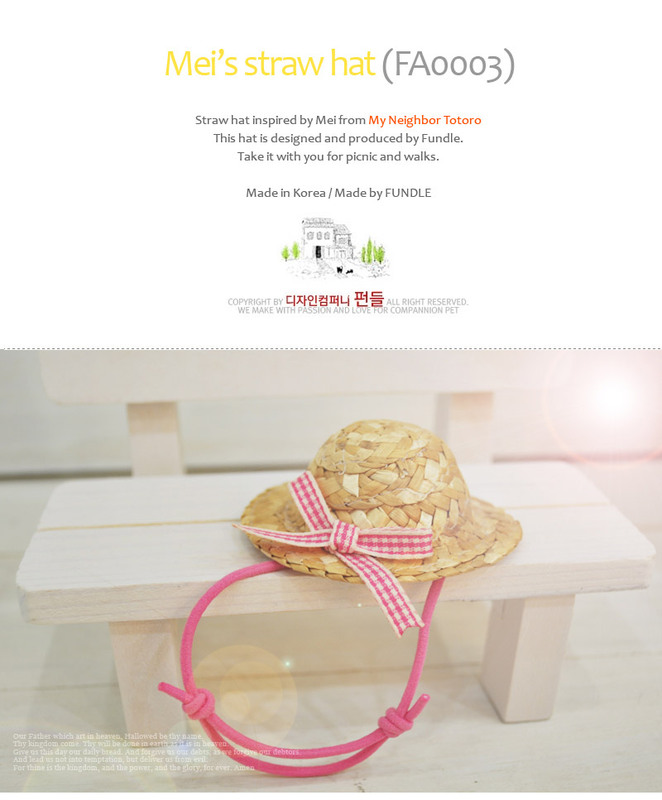 The round straw hats with checkered ribbons are simply adorable. It fits well even on the 8-kg Geumbyeol. The hat won’t fall off even if he shakes his head. This product is not mass-produced from China. They are handmade by Fundle designers. It takes more time and effort, but we value our customers. We enjoy sharing the happiness with them. In this dry digital age, Fundle works to create analog products that are unique and characteristic. Please help us create the world we wish for! All Images Copyright, 'Fundle', All Rights Reserved.